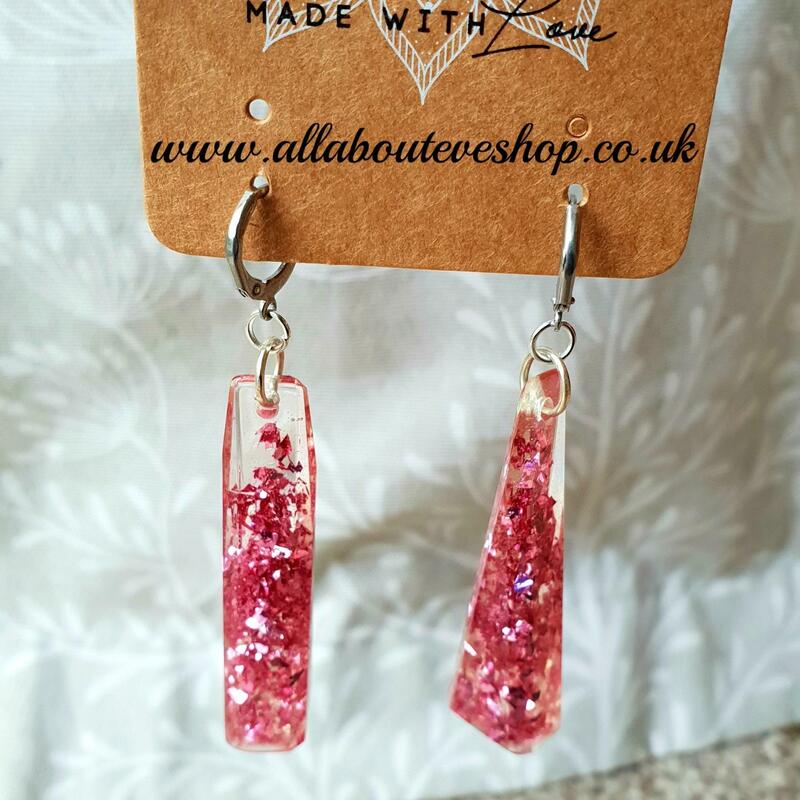 All earrings are made from Resin and might have inclusions such as Mica Powder, Glitter, Colouring and flakes. 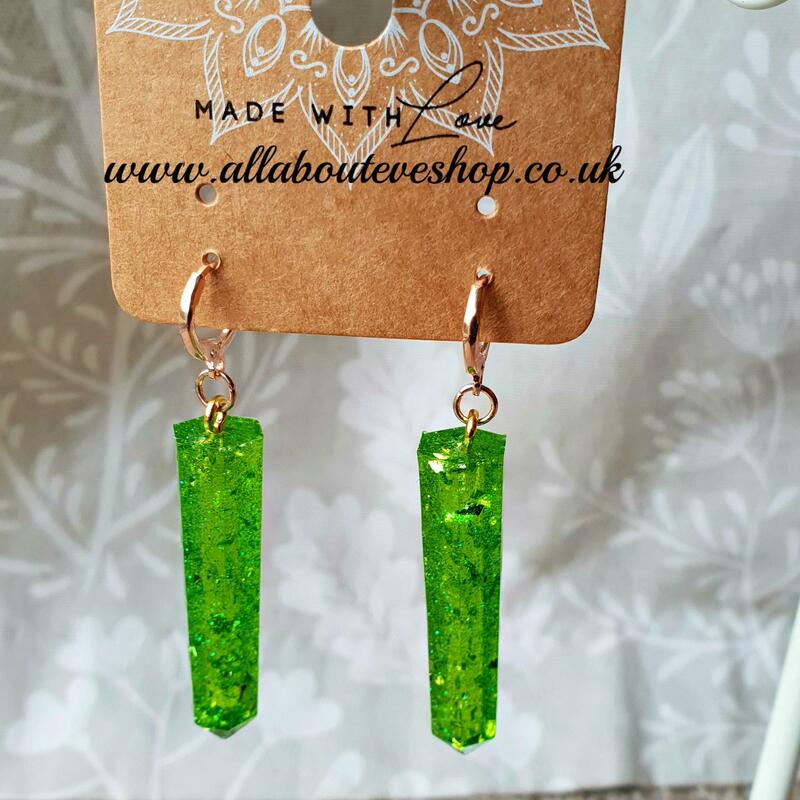 Each earring will either have Stainless steel findings or plated findings, this will be noted in the description of the earring. As with all items here at AAE, if you have a particular colour in mind drop me a line and I will see what i can do.